MyKindaFuture (MKF) is a social business aimed at helping young people develop work-ready skills and providing them with employment opportunities. The team were originally based in Clapham but quickly outgrew their small office and began looking for an alternative. 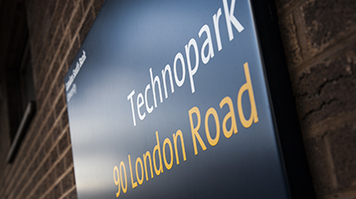 They knew they wanted to be near to like-minded businesses that would reflect their unique working culture and when they stumbled upon the office space in LSBU’s Technopark they knew they’d found the right place. “At LSBU we’re right in the thick of it, with access to all the people who work and visit here,” says William Akerman, founder and MD of MKF. “Academics and staff are the obvious ones, but we can also network with businesses who visit, and even MPs. In 2015, MKF merged with Bright Futures, giving it an even wider network of contacts to deliver. 2016 marked the 40th anniversary of the first Bright Futures Society, run by students for students to give employers insight into what students want from a career. You’ll find them in more than 50 universities, including LSBU, helping students to gain a crucial head start in the careers market. With more than 80,000 young people making the most of that opportunity in 2016 alone, MyKindaFuture is on course for an even busier 2017 – so the company’s own future is looking pretty bright too. Read more about MyKindaFuture or become a tenant at LSBU.